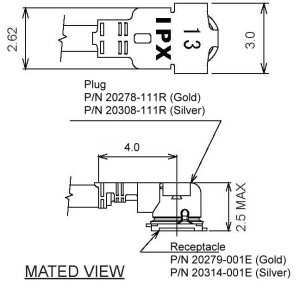 IPEX MHF Coaxial Connector can be termiated with 0.81mm, 1.13mm, 1.32mm, 1.32DS, 1.37mm, 1.48mm, RG178 cable. The receptacle also is available and the PN is 20279-001E-01(Gold plating). The lead time for popular plug and receptacle (20278-111R and 20279-001E-01) is 7 ~ 10 days. 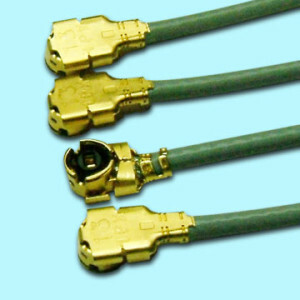 The only 2.5mm mated height and frequency of 6GHz, IPEX MHF Coaxial Connector / Cable is the most popular coaxial connector / cable in global market. IPEX MHF Coaxial Connector can mate with Hirose U.FL Coaxial Connector well, and has been generally applicated to various electronic products.